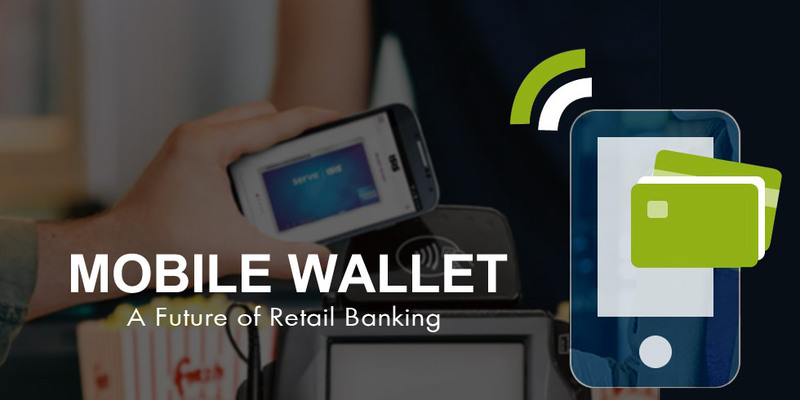 If you want to know the future of retail banking then here is the answer – “Mobile Wallet”. Mobile Wallet is the emerging technology that offers convenience in banking and payment transfers for paying retailers bills. In a golden era of mobile technology, people are looking for fast, easy & smart solutions everywhere. The concept of “Mobile Wallet” is derived from traditional wallets. Wallets basically serve the purpose of carrying cash, cards, coupons, identity proofs etc. that you will need to make purchases. Mobile wallets extend the concept to match the digital age needs. At present, start-ups companies are more interested in one of the successful business ideas “Mobile Wallet”. Wallets will gain traction as more merchants come into play. With the introduction of payment banks, prepaid instruments will have higher usage. With the younger lot more comfortable with handheld devices, it may be the only way to grow the retail business, reckoned analysts. Customer will first need to download the smartphone application that offers the “Mobile Wallet” service. With the market growing for Mobile Wallet, many companies have entered into this segment with their own services or apps. In the U.S., they include companies such as Google, Amazon, PayPal, Square, and Apple. Once the wallet is downloaded and installed to the smartphone, the customer can store their credit/debit card details for future use. There is an additional security provided to ensure protection of the details provided here. A customer can utilize all of their stored information simply by opening an app on their phone, entering their PIN/password or verifying using their fingerprints, and then selecting the information they want to access on the app. The app then utilizes information using transfer technology such as Near-Field Communications (NFC) to interact with mobile wallet ready payment terminals. This payment terminal will receive the card information and process the transaction. After successful transaction the amount is being deducted from customer’s account and added into merchant’s account. They may also store your loyalty cards, coupons, tickets, etc. These wallets also enable you to shop online, buy movie tickets, facilitate recharges and pay for other services instantly. Reduced payment time – With quick and easy interface the payment time will be reeducated as compare to traditional payment system. Lower transaction cost – Processing fees are expected to decrease over time relative to traditional cards. Apple Passbook is a mobile wallet app with significant history among iOS users. It has a convenient design and high level of adoption which has made it an invaluable resource for storing things like plane tickets and loyalty cards, which you can use later, when needed for easy scanning. With Apple Pay, you can pay in App Stores or perform in-app purchases easily and quickly. With the finger scan detection security, you can pay for your bills securely. Save your credit & debit cards using Google Wallet and send money to anyone in the US with an email address. It’s fast, easy, and free to send directly from your debit card, bank account, or Wallet Balance. When you receive money, you can quickly cash out to your bank account using your debit card, or spend it instantly with the Google Wallet Card. Make a secure transaction, Google Wallet app can only be accessed with your Google payments PIN. Collect coupons, credit cards, memberships, loyalty cards, and more in one place. Manage the payment instruments that they use in the app and music store. Link items in the Wallet to apps on their phone. Make contactless transactions, using Near-Field Communication (NFC), in some markets. Semaphore Software is a leading Mobile App Development Company. We offer specialized Android app development services. You can contact us through info@semaphore-software.com to know more about the services we offer.